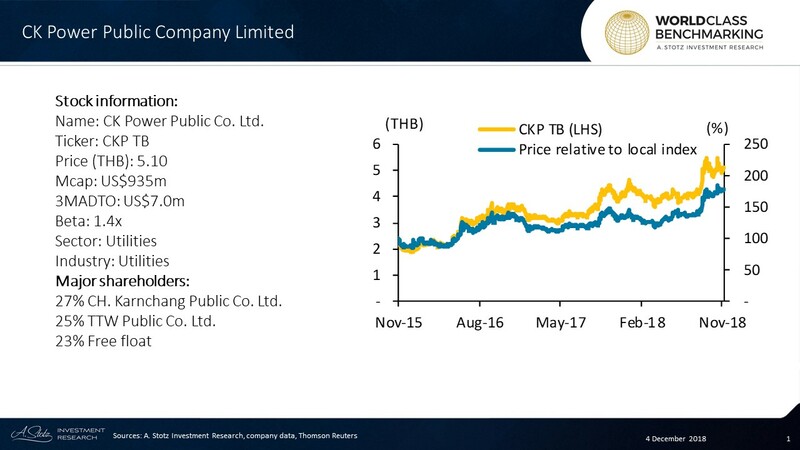 CK Power Public Company Limited is the first power development and distribution company to be listed in Thailand and has the majority of its core assets located overseas. As of 2017, around 61% of its power capacity is located in Laos, with the rest in Thailand, including three solar farm projects and one co-generation plant. CKP is a holding company which derives almost all its revenue from electricity sales. About 61% of its total installed capacity of 425 MW comes from its stake in hydroelectric power generation plant, Nam Ngum 2, located in Laos. The remaining capacity is made up of its holdings in two co-generation and three solar-powered plants, all of which are located in Thailand. The two plant types contribute 36% and 3% to the total capacity respectively. CKP’s revenue from hydroelectric power should rise in 2019 from the completion of Xayaburi Power Co. Ltd, another power plant in Laos with 1,285MW capacity. 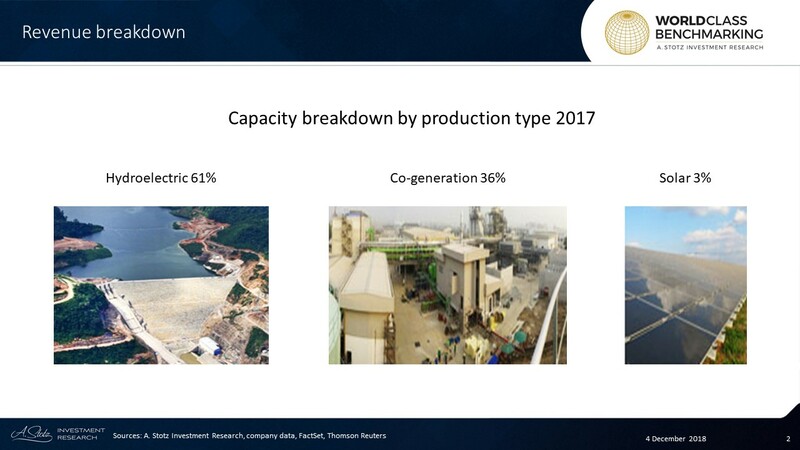 Its commercial operation date (COD) is set in 4Q19 and should provide 482 MW increase in effective capacity to CKP from its 38% shareholding, which is going to more than double its current capacity. All electric generating facilities that CKP has stakes in, both in Thailand and Laos, have government power-purchase agreements (PPA) in place, which allows for stable demand and pricing. Thanong Bidaya has served as the independent Chairman of CKP since 2012. He also serves as Chairman at Scan Inter Public Company Limited (SCN TB), TTW Public Company Limited (TTW TB), and Xayaburi Power Company Limited. He received a Bachelor of Economics from Yokohama National University in Japan, Master of Economics and Doctor of Philosophy in Management from Northwestern University in the US. He also attended the Directors Accreditation Program (DAP 25/2004) at the Thai Institute of Directors Association.